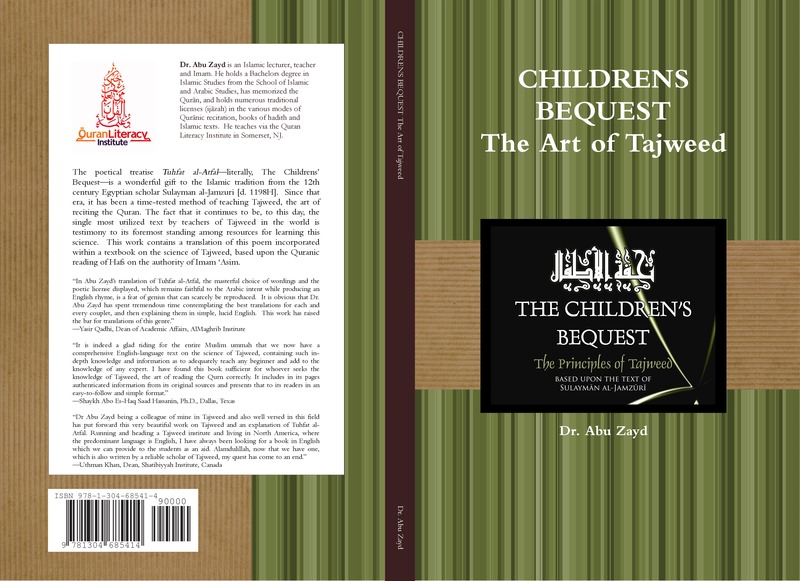 Part of showing gratitude for this esteemed blessing is to read this Noble Book and attempt to understand and implement it. 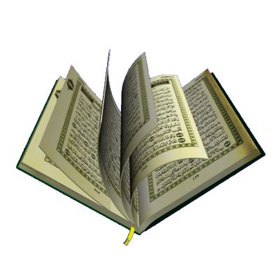 The Qur’an was revealed in the month of Ramadan, and specifically on the Night of Power. When we open this Book, we find that it commands us to begin its reading in a particular way. Now what is the wisdom and significance of the isti‘ādhah? The greatness and virtue of studying the Qur’an is unimaginable, as we saw in the beautiful Hadith Qudsi from yesterday’s lesson. The Prophet also declared without reservation that the best people among the entire ummah are those who study and teach the Qur’an. Unfortunately, your enemy, Shaytān knows this fact all too well and will be doing his job to divert you. Hence the need for the isti‘ādhah. Secondly, it is quite clear that in order to study and derive benefit from the Qur’an, one must rely on certain well-known means and tools, such as the Arabic language, proper works of tafsīr, knowledge of the life-history of the Holy Prophet, etc. The isti‘ādhah is an affirmation that the greatest tool and means of deriving benefit from the Noble Qur’an is supplicating the One who revealed it. This is an expression of our utter dependence on and complete need for Allah’s mercy and support. Hence we should constantly supplicate Allah to help us in all our affairs, especially if it involves His Noble Book. The Noble Qur’an should really be the springs of our hearts, the light of our chests and the erasor of our worries and concerns. Real knowledge and learning is that which is connected to Allah. All other study is ignorance (jahālah). All other paths to learning lead to confusion. The Noble Qur’an is the only way out. The only way to a “Good Life” (Hayāt al-Tayyibah). It appears from a study of the Qur’an, Sunnah and Islamic works that it has been a divine method to begin all matters with Allah’s name. The Prophet Nuh rode his ark with Allah’s name, “And he said: Embark therein! In the name of Allah be its course and its mooring. Lo! my Lord is Forgiving, Merciful” [Hud 11:41]. The Prophet Sulayman began his letter to the Queen of Sheba with Allah’s name [al-Naml 27:30]. Likewise, all chapters of the Qur’an begin with the bamalah, the debate over whether it is a part of the surahs or external to them aside. The only exception is Surah al-Tawbah, which does not begin with it due to 2 possible reasons: its stern content relating to themes of jihad and dealing with hypocrites, etc. or its continuity with the previous chapter al-Anfāl. This fact is proof of the meticulous preservation and transmission of the Qur’an by the Companions and successive generations, for had it been a careless matter or related to our logic, the chapter may have began with it to preserve the “coherence” and continuity of the Qur’an. The scholars of the Shafi‘ī legal school and others recite the basmalah aloud before each surah, considering it a portion of the surah. Our Hanafi school considers the basmalah to be a continual verse of the Qur’an that should be recited at the beginning of recitation but is not necessarily the first verse of each surah. We have been commanded to recite with the basmalah [al-‘Alaq 96:1], so we should do so before every recitation. It is an Islamic custom and tradition to begin all tasks with Allah’s name. This is supported by a Prophetic hadith that deems any deed not beginning with Allah’s name as susceptible to failure. The basmalah contains 3 of Allah’s noble names and 2 of His key attributes (al-Rahmān and al-Rahīm), and so any deed beginning with it is truly blessed and worthy of Divine help. Al-Rahmān is the root of all Divine attributes, and the logical culmination of this attribute, the mercy of Allah, is the Qur’an, As he says, The Most Gracious is He who has taught the Qur’an (al-Rahmānu ‘allamal Qur’ān) [al-Rahmān 55:1-2]. If you make a habit of reciting the basmalah before each task, your sins will begin to diminish, for no person, however wretched, would dare to do evil deeds such as stealing with the recitation of Allah’s name.